Convenient and Heavyduty Hydrotest Pump System. 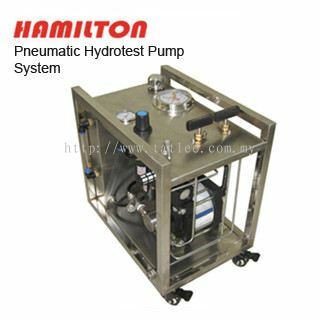 Built in Air Driven Liquid Pump, Stainless Steel Frame, Pressure Gauge, COntrol Valve, Air filter, Water Filter and Stainless Steel Tank. Plug in Air Supply and ready to perform any pressure test. Pressure range: 32~ 3200 bar.